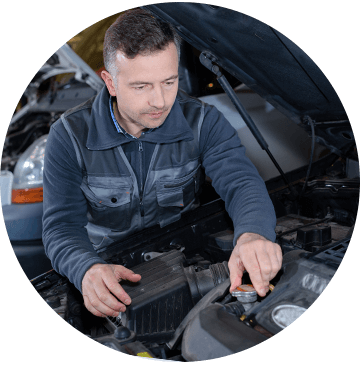 Everyone needs a trusted mechanic they can turn to when in need of maintenance and repairs. We are that team! Chris Murphy’s Automotive is proud to provide Dallas, Texas residents with the quality repairs and ongoing maintenance they require. This includes all scheduled preventative care and last-minute or emergency repairs. All our parts and work are backed by a 24 month/24,000 mile warranty. This provides you with the confidence the work performed is of the highest quality. Our shop was founded in 1992 by tenured United States Army mechanic Chris Murphy. After 12 years working as a civilian mechanic, Chris decided to venture out on his own and open his own repair shop. Chris is a hands-on business owner, who still works as a mechanic when he’s not running the business end of things. We welcome walk-ins Monday through Friday from 7:30 am to 6:00 pm. This makes afterhours drop-off and pick up easy. You may also call ahead to schedule your maintenance and repairs. If you are dropping off for a quick fix, you can wait in our lobby, where we have free Wi-Fi. For advanced repairs and mechanics, we aim for same day turnaround, but depending on the extent of work required, may need a day or two. We will provide you with a turnaround time when you drop-off your car or after we have had the chance to inspect your repair needs. We service and repair all makes and models and vehicles, including new and used. Our goal is always to extend the life of your vehicle by taking a proactive approach to preventative car care. We aim to be your full service automotive repair shop. We understand not all repairs are planned and may not fit easily into your budget. While we keep our prices low, it is never at the expense of quality. If the cost of your repairs is outside your budget, we invite you to apply for repair financing. We provide ongoing and preventative maintenance, such as oil changes and tune ups, as well as scheduled maintenance and the unexpected last-minute repairs, and we are also a certified State Inspection center. They seemed to be honest, and were fairly priced with their services. I’ve already recommended them to another VW owner looking for a mechanic.